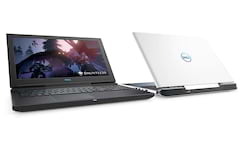 The Dell brings to market two notebooks with a focus on gamers users, Dell G3 and the Dell G7. The two new lines come with a 15.6-inch IPS screen for better viewing angles. In addition, these versions come as good choices for both gamers who are in the process of improving their skills in competitive games and those who crave high-performance notebooks, in this case eSports players. The notebook features an external finish in Licorine black or Alpine White colors, featuring eighth-generation Intel Core i5 and i7 (H Series) processors, NVIDIA GeForce GTX 1050Ti and GTX 1060 graphics cards, and SSD storage. 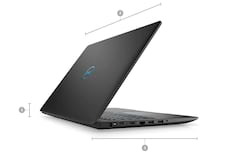 The Dell G7 is Dell’s first gamer notebook with Killer Networking technology and SmartByte optimization to ensure high performance in online gaming. The Dell G3 comes with black exterior and blue accents, with Intel Core i5 or i7 processors, NVIDIA GeForce GTX 1050 or GTX 1050Ti graphics. 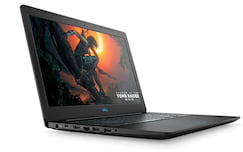 The notebook has the option of 8 GB of RAM or 16 GB of RAM, at the discretion of the gamer. The equipment screen comes with FullHD resolution. In addition, the equipment has the SmartByte system, to optimize the Internet band for games. 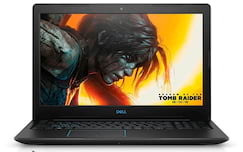 The Dell G3 is Dell’s offer for gamers looking for a good value product, as well as essential features for gameplay. Notebooks are already available pre-order from Dell’s online store . 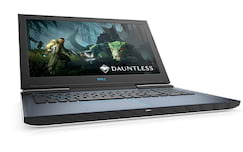 It is worth mentioning that who acquire until July 8 the Dell G7 in the manufacturer’s e-commerce takes a Dell Gaming backpack. The promotion is valid between July 3 and July 8, 2018 or in the first 100 purchases. or American stores . with until July 11 wins a chair gamer, to check more details about this promotion access this link . All notebooks purchased in the pre-sale period will be delivered to customers from the official launch date, ie July 9. 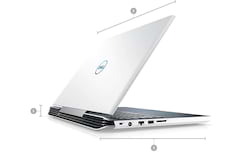 The Dell G3 is available starting at $ 4,551 and the Dell G7 has an initial price of $ 5,149.